About 24 hours after a Clovis High School boy killed himself in early March, his cell phone buzzed. The incoming text was the latest in a conversation thread among the deceased boy and three teenage girls before he died. One of the girls, also from the Central Valley, was thinking of killing herself. At the Fresno County coroner’s office, a deputy coroner discovered the text and launched a search for the girl that would reach into the records of the Clovis Unified School District, law enforcement cell phone tracking technology, a network of suicide prevention leaders and a school district in adjacent Tulare County. For Clovis Unified, stunned by the suicides of four high school boys this school year, a team approach to suicide prevention has brought relief and hope. Accelerating their work is a new state law that requires schools to have programs for grades 7 through 12 in suicide prevention, intervention and “postvention” by the start of the 2017-18 school year. “The principal approached me and said, ‘Hey, do we get calls from the coroner?’” said Clovis Unified school psychologist David Weber. 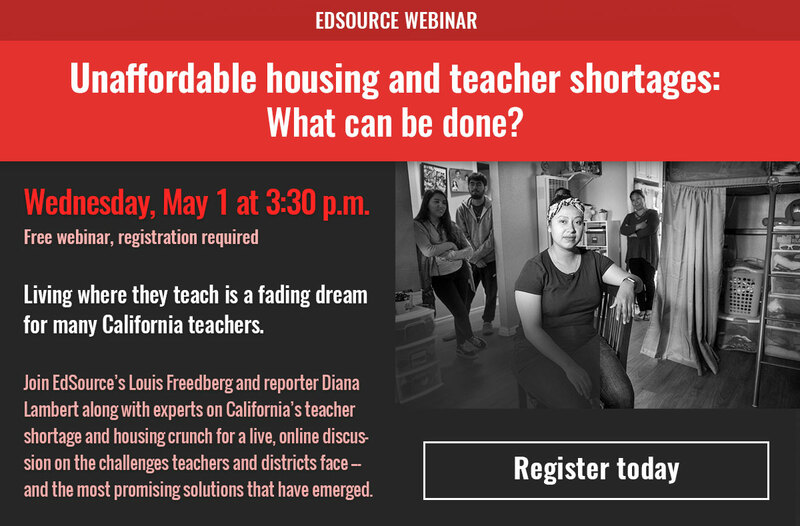 What’s been happening in Clovis Unified this year is a case study in trying to figure out, in real time, how to help students before they succumb to despair. “We’re looking at this from a mental health perspective,” Logan said. While suicide is the second-leading cause of death for teenagers ages 15 to 19, it is rare, with 150 suicide deaths in California in that age group in 2013. But suicidal thinking is not uncommon. Among 15-to-19-year-olds in California, more than 1 in 5 girls and 1 in 6 boys surveyed in 2011-13 reported seriously considering attempting suicide, according to research by WestEd. The California Department of Education released a model youth suicide prevention policy last month that calls for schools to create strategies to encourage students to talk about depression and stress. Parent education on mental health is recommended. Teachers should be trained to recognize and refer students in need of mental health counseling. “Postvention” practices, which refers to the response to a suicide, include avoiding “glamorizing” a death by suicide and downplaying the method of suicide. Instead, the focus is the importance of mental health and how to get help. A suicide prevention hotline number to call or text should be prominently displayed. (The National Suicide Prevention Lifeline is 1-800-273-8255). And school staff should create a protocol for intervening with students who, like the girl who sent the text, say they are thinking about suicide. Six miles from the Fresno coroner’s office, across the Central Valley flatlands where farmlands have given way to tract housing, Clovis High School Principal Denver Stairs collected his phone messages on the morning after the text was sent to the deceased boy’s phone and headed to the school counseling center. Parents made up the bulk of Stairs’ callers — mothers and fathers distraught about the suicide of a boy they’d known from grade school and freaked out about who might be next, because who understands a teenager’s emotional state? But one message stood out. 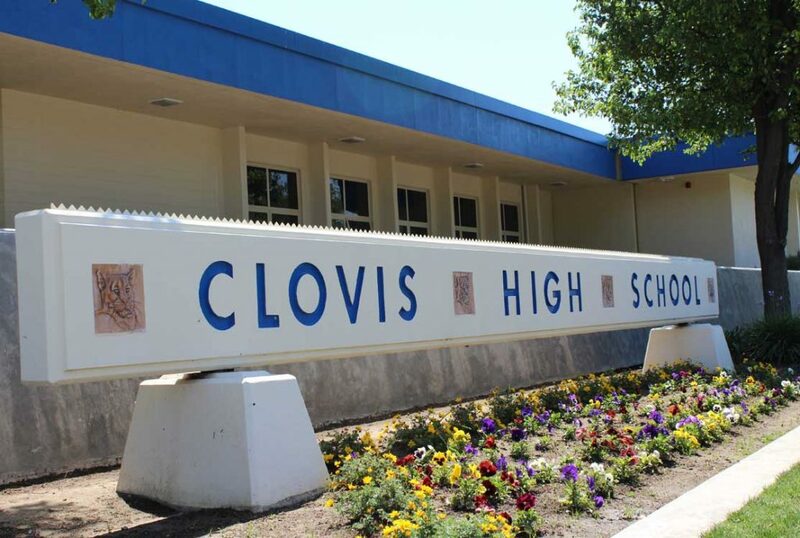 “The principal approached me and said, ‘Hey, do we get calls from the coroner?’” recalled school psychologist David Weber, who leads Clovis High’s crisis response team. “And I go, ‘No, not typically,’” Weber said. In Stairs’ cramped office, they listened as a deputy coroner explained over the phone what Weber described as “the coroner’s new standard operating procedure” – the practice of monitoring the deceased student’s phone for clues about why he killed himself and whether his friends might be thinking of doing the same. That part wasn’t actually a new procedure, because every suicide prompts an investigation. “Causes and manner of death,” said Lt. Mark Padilla, commander of the coroner’s office, which is part of the Fresno County Sheriff’s Office. “We’ll go to great lengths to see if there’s some nexus of why a person committed suicide.” That can include looking at cell phone texts as well as Twitter, Snapchat, Instagram and other social media accounts. Clovis, a city of 100,000 proud of its annual rodeo and its wholesome “Clovis way of life” slogan, is not the place that comes to mind when talking about a teen suicide cluster in California. That would be Palo Alto, where in 2009-10, five students in the Palo Alto Unified School District died by suicide; in 2014-15, four more students or alumni of the district died by suicide. The self-inflicted deaths raised the question of whether affluent, Silicon Valley-driven families and schools were putting too much pressure on students. At Clovis Unified, family income is far more varied, with 43 percent of students qualifying for free and reduced price meals, a proxy for low family income. Lost in the Palo Alto cluster conversation are the data that show a mental health crisis for teenagers across the country, even in Clovis. In California, nearly two out of three counties — 36 out of 58 — had at least one person between ages 5 and 19 die by suicide in 2013, according to the most recent information on KidsData, a data aggregator. In 2015, nearly 39,000 California 5-to-19-year-olds were admitted to a hospital for mental health issues, most commonly depression. In suicides, “90 percent of the time there’s a mental health condition,” said Dr. Shashank Joshi, a suicide prevention expert at Stanford University. To comply with the new state law, Assembly Bill 2246, the model suicide prevention policy recommends the creation of a parental consent form that would allow hospitals to notify schools that a student who has received psychiatric care has been discharged. Joshi said that students are at highest risk of suicide after being released from a psychiatric hospital stay and that, without needing to share the details of the hospitalization, students and their families do best when they create a “re-entry plan” with administrators and teachers. Forming such a plan can be as simple as having a conversation about missed school assignments and letting the student know that he or she is welcome to check in with a staff member about how things are going. Compounding the stress was an inability to communicate, he said. “They did not know how to convey what they were feeling inside,” he said. He held a series of small group conversations with more than 150 students. When four students — two girls and two boys — approached him and said they had felt suicidal in the past, he invited each of them into his office to talk. The suicides in Clovis Unified have put the community on high alert for students who make suicidal comments, such as the student at Clovis High who said, after the student’s suicide in March, “That student had it right.” Parents, Clovis residents, and students are keeping an eye on student social media accounts and forwarding screenshots of suicidal messages to principals. “I’ve responded until 11, 12, 1, 2 or 3 in the morning,” Hammack said. In the search for the suicidal texting girl, the deputy coroner gave Stairs what little information the office had. “They had her phone number and her first name,” Stairs said. A search of school district databases found no match and Stairs turned the search back to the investigators. The coroner’s office traced the three texting girls to Tulare County. An officer called Noah Whitaker, director of the Tulare & Kings Counties Suicide Prevention Task Force, with the information; the officer knew Whitaker from his work helping Fresno County develop a suicide prevention plan. Whitaker called a school district in the southern part of the county. Aimee Micullan, director of special education and support services at the Exeter Unified School District, clicked on an email that had made its way from Clovis Unified, the coroner’s office, the Tulare County Office of Education and a crisis response team before landing in her in-box. The email identified the three high school girls who had texted the deceased Clovis boy. Micullan notified the school counselors, who started calling the students out of class or phoning them at home. For how much this article says Clovis Unified cares about teen/student suicide, they don’t do much. They barely even talk about it. I taught school/college/univ (as you Americans put it) in Belfast (Northern Ireland-UK) during many of the internecine, murderous, bigoted ‘neighbour-v-neighbour’ years 1967/2014 in this unhappy, dysfunctional home of 1.8 million souls. During much of my time in education, mobile devices (cell phones and their ilk) were not yet invented. Bullying, parental abuse, poverty, bigotry, class discrimination, physical punishment by teachers of students (now known as physical/emotional abuse), apartheid-style separate schooling systems, housing apartheid for less-well-off (viz. well-off folks could buy their way into ‘leafy suburbs,’ private schools, etc.) et al – these were the backcloth to premature violent deaths of 3,600 citizens, est 40,000 seriously wounded, hundreds of thousands seriously psychologically traumatised. Suicides since 1998 truce/”peace process” from 1998/2012 number 3,300 souls. As Dr. Caine has persuasively argued, looking for a suicidal soul in any human social setting resembles an exercise proverbially known as looking for “a needle in a haystack.” I don’t know what the answer to human suicide is, viz. a General Theory of Suicide. We still ponder Durkheim’s analysis of 100+ years ago and there’s a vastly enormous quantum of published “research” (including my MSc and PhD). Wow! Thankful for SPTF and all agencies working together to save our touth. I am the cofounder and president of JJs Hello Foundation​. Our foundation was created following the sudden and tragic loss of our son JJ who took his own life at 12 years old in February 2016. At the time he was a 7th grade student at Smedberg Middle School in the Elk Grove unified School district. In our school district alone, we have lost at least 5 students including my son since 2015. One is too many and five or more is an epidemic. Suicide is the 2nd leading cause of death for ages 10 to 14. More children die from suicide then all natural causes combined. We knew we had to do something to end youth suicide so we started our foundation to raise money and awareness to this serious public problem. However we need more people to join with us in our fight. We currently to work closely with the Elk Grove Unified to implement the policies in AB 2246 but we are always looking for additional funding to help get our message heard. Please visit our website and reach out if you want more information. Thank you for the in-depth coverage of this hugely important issue. We need to raise awareness in all school and college communities about the risks of youth suicide–and the risks of holding back from asking depressed people if they are feeling suicidal. As a mother who lost a 21-year-old son to suicide, I hope my fellow parents will learn the warning signs and how to talk to a suicidal person, as well as how to have “the talk” with our teens about mental health and the importance of seeking help. Some helpful web sites for young people include ulifeline of the Jed Foundation, as well as Active Minds. If any readers have lost a loved one to suicide, my heart is with you; I invite them to visit my blog, Walking the Mourners Path After a Child’s Suicide, for guidance in the suicide grief process. A child taking their own life is a tragedy and the numbers reported don’t even account for students that contemplate it too. While the issues involved are often complicated and all the policies mentioned in the article notwithstanding, too many of our young people aren’t motivated, are bored and not engaged in school. The standards movement, with its narrow curriculum and narrow high stakes testing, have created these conditions. Students become self motivated and raise their expectations when there is a rich and balanced curriculum, quality teaching with meaningful relationships with adults, and assessments that are informative and supportive. Of course our young people need adults who will support them and believe in them and help them better understand the world around them, discover the talents inside them so they can become solid individuals and engaged members of our communities. This is what we often refer to as whole child education.